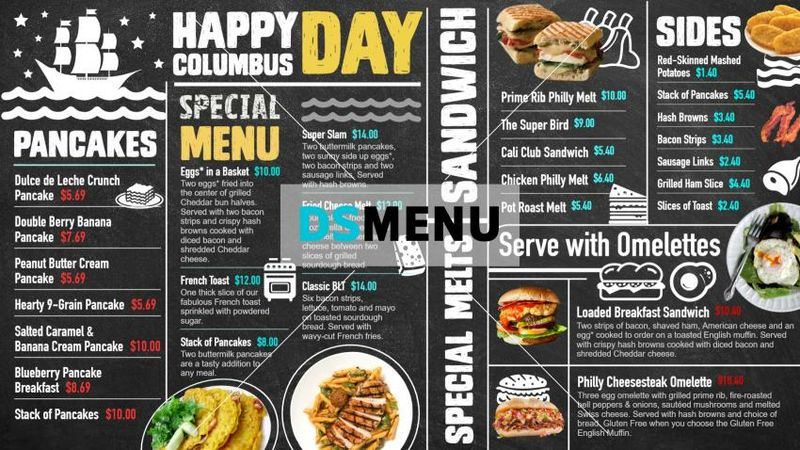 A great Columbus Day Chalk board menu.The graphics compliment the designs perfectly. On a digital menu board this template will surely bring in more customers. Moreover, the restauranteur has the benefit of cloud based displays which you can avail for menu updates at your own discretion.